Laramie Project Archives - Joe.My.God. 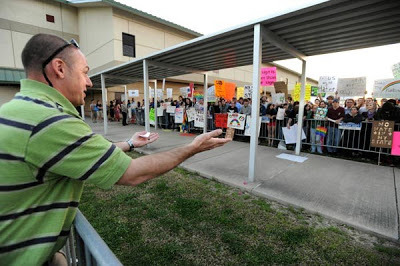 Protesters outnumbered an anti-gay hater by 500-1 at a scheduled Westboro picket of a high school performance of the Laramie Project in Louisiana. Westboro didn’t show. UPDATE: Here’s an amusing clip of the protesters getting ready for Westboro.